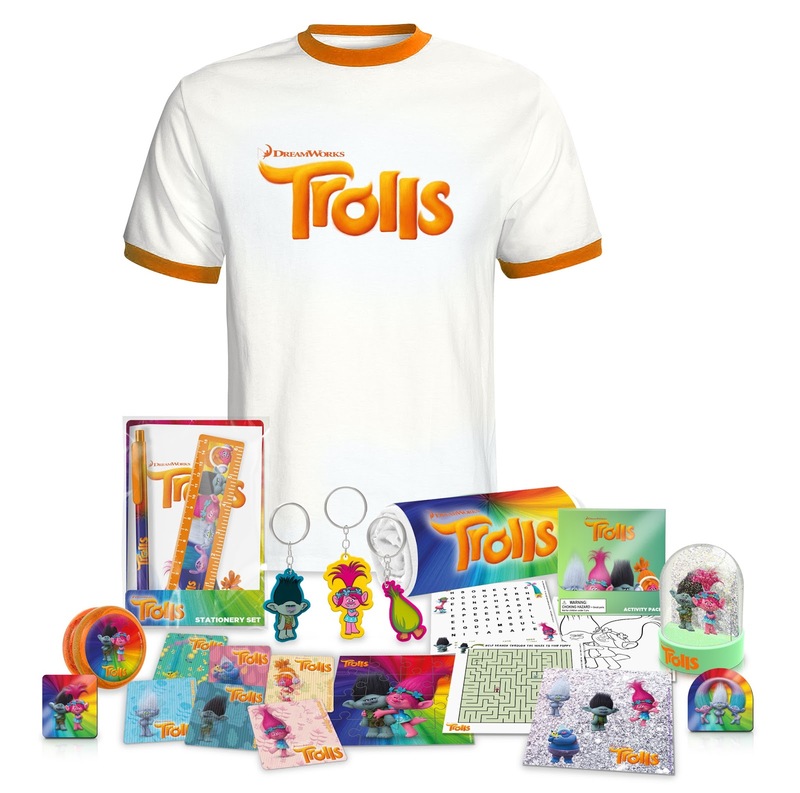 To celebrate the cinematic release of TROLLS, the happiest and most joyous adventure from DreamWorks Animation featuring the vocal talents of Justin Timberlake and Anna Kendrick, we are offering YOU the chance to win some TROLLS goodies! 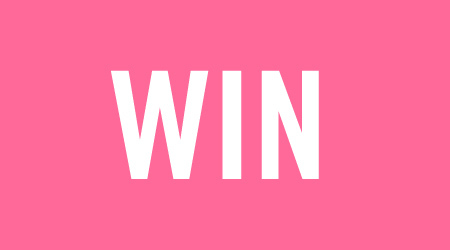 Three lucky winners will receive magnets, a keychain, an activity pack, a yo-yo, a stationery set and more! Watch the trailer and then answer the question via the Gleam entry form below to be in with a chance of being one of our three lucky winners! TROLLS is a hair-raising comedy filled with unbelievable adventure and incredible music. Known for their crazy, colourful, and magical hair, Trolls are the happiest, most joyous creatures ever to burst into song. But their world of rainbows and cupcakes is changed forever, when their leader Poppy (Anna Kendrick,) must embark on a rescue mission that takes her far beyond the only world she’s ever known. See it in cinemas NOW! 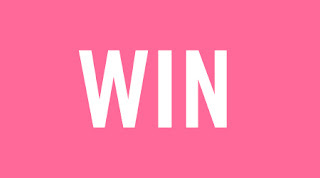 For your chance to WIN a TROLLS bundle you can enter via the Gleam entry form below. Leaving a comment and answering the question are mandatory but there additional entry methods available. The giveaway ends at 11.59pm GMT on 21st November 2016. I saw Bridget Jones's Baby recently. We had a mum's night off and went to see Bad Mom's! Highly recommended! Last film was Bridget Jones's Baby , lloved it ! I can't remember it's been that long! I haven't been for ages! I think the last film I saw was Gone Girl. The BFG was the most recent. I last saw Storks and loved it! we have been to see bfg (amazing) dory (i cried lol) and Trolls which is fandabbiedozzie!! I haven't been for ages but my son went to see Finding Dory with his dad. Last film I saw with Jungle Book, I took my little sister to see it and it was awesome! The last film we saw was Pete's dragon, it was brilliant. I haven't been for for a very long time but my nephew and niece went to see Miss Peregrine's Home for Peculiar Children last week and they're going to see Trolls this week. It has been ages. Last thing I took my daughter to see was Inside Out (great movie). I haven't been to the cinema for ages. I think the last time we went we saw Paddington! the last film I saw at the cinema was Bend It Like Beckham! We went to see the secret life of pets. The last one was Finding Dory! Storks was so much fun and before that we saw The BFG which to be honest we were a little disappointed with. It's been so long I can't recall. The last film I saw in the cinema was I, Daniel Blake. Worth seeing and hopefully Government and Culture will change as needed. Pulls at the heart strings. Haven't been to the cinema in years. I find it painful to sit in one position for too long. I used to go every month! I haven't seen any thing since Avatar! I watched Bridget Jones a couple of evenings ago. The last movie with the children was The BFG. We went to see Star Wars back in January, but not been since!! The last film I saw at the cinema was Kung Fu Panda 3 with my children. The last film I saw was the BFG, we're off to see Trolls tomorrow. We haven't been to the cinema for years, in fact the last film we went to see was the Lego Movie. Last was Deepwater Horizon, it was epic! We all went to the cinema to see Finding Dory, it was the little boy's first trip and he had a great time. we saw trolls at the weekend and the kids loved it! the grown ups liked the soundtrack! The last movie I watched at the cinema was Inferno with Tom Hanks. I haven't been the cinema for years, I keep missing the films I want to see, especially Finding Dory in the summer! Trolls - insanely happy film! I saw Bridget Jones' Baby with my friends, and The BFG with my son! most recent was actually TROLLS, a really good film. We've seen The BFG, the new Jungle Book, Alice Through The Looking Glass and my 9 year old went to see Trolls with a friend last week. I haven't gone for years, really hoping that we can get mum to look after the kids soon so that we can go see something that isn't animated for my birthday, lol. We went to see The Secret Life Of Pets this weekend and the kids just loved it - next on the list is Trolls though! I haven't been to the cinema in years. I took my daughter last week to watch the storks. She absolutely loved it. I don't even know where there is a Cinema in Arizona! Last one we saw was storks, cute movie! Trolls & Storks both were fab! I watched Bridget Jones Baby and it was fantastic! So funny and a brilliant film to watch with my mum! I love trolls, princess poppy is my favourite character! i went to watch 'Dont breath' recently and took my daughter to watch finding dory. Bridget Jones Baby was last one I saw - loved it! The last thing we went to see was Finding Dory. Took my nephew to see trolls, he loved it. Great for adults too! Last Christmas Eve to see the latest Star Wars movie! We don't get out a lot! I haven't been to the cinema in a year! Angry birds, we are well overdue a day at the pictures! Trolls and we loved it!!! I took my boys to see Secret Life of Pets - we all loved it! We went to see The Secret Life Of Pets but not been recently as pennies need saving for presents! Hadn't been for a few years until October when my hubby took me to watch the 25th Anniversary performance of Miss Saigon ! a must see ! ... cried rivers just like I did at the theatre !! Last one we saw was the secret life of pets! Finding Dory was definitely a recent favourite at the cinema! The last time we went to the cinema we saw Finding Dory! The last movie I saw in the cinema was "Legend" that's was a while ago. We haven't been in ages, I think it was the Jungle Book. my daughter went to watch trolls so now were having a troll omber cake as our not so chrismasy christmas cake this year! cant wait! i last saw tinkerbelle and the never beast, camt wait for beauty and the beast though. I haven't been in so long, the last movie was probably a horror film or the Minions!! Most recently we saw Trolls! We went to see Trolls last week. We all loved it! The last film I saw was Cinderella. We went to see the amazing Fantastic Beasts and Where to Find them on Friday night!